Having being highly impressed by the original Caterthun loudspeakers from Alacrity Audio, I readily accepted the challenge to audition the new model '8' that is basically a larger version with 8 inch main driver instead of the 6 inch in the smaller model. As previously, the speakers arrived safely, again in protected flight cases except that this time there were two cases (one for each speaker) instead of both being in one case. I could see why this change had been made as soon as the delivery driver handed me the first case from the back of his van - they are heavy. As I carried each case up the stairs to my auditioning room, I was very grateful that the weight had been spilt into two. The flight cases as before were very well made and will do an excellent job of keeping the speakers safe during transit. Unpacking the 8's as I'll call them, they looked more or less identical to the smaller Caterthuns except for the dimensions. Beautifully finished in a light oak veneer (you can specify other finishes), the drivers are recessed, and the conservative finish will help them disappear in most rooms. They are like their smaller counterparts designed to operate hard up against the rear wall, the idea once again being that they will provide audiophile sound quality, including full bass output, in situations where the owner cannot have larger speakers further out in the room, ie audiophiles with smaller listening rooms or with larger listening rooms but unsympathetic co-habitors. I used the same stands for these speakers as I do for nearly all stand-mount models, ie around 4 feet (120 cm) tall, and on the strict instructions of the designer, I bi-wired them to the amps. I was told that they were fairly well used so I was all ready to listen to them but Alacrity state that it takes at least 50 hours to burn in new speakers. The test set up consisted of a computer running either JPlay or Audiophile Linux, a USB DAC (hiFace DAC / Miniwatt n4/iFi iDAC) and a selection of amplifiers ranging from my Gainclone monoblocks, class-T, and class A-B. Alacrity say that the 8's are better suited to the higher damping factor of transistor amplification so I didn't use a valve amp for this review. It took me an hour or so to get used to the 8's after listening to the very familiar sound of my modified MS Pageants for so long. But after that I was able to fully enjoy the 8's, and perceive their superiority over the Pageants. The main difference was that bottom end. It's not that it is so well filled out, it is the iron-like grip that it has on the bass notes. The only time that I could get the 8's to excite the room modes and cause something that I didn't like hearing was with the track 'Dub Tractor' from the Talvin Singh album 'Back to Mine'. And in fairness in a room only around 3 metres by 3 metres, that track is never going to play loud without problems. Everything else was played with a control that enabled me to listen to some bass lines in the same way that I listen for detail in the higher frequencies. And in those higher frequencies there was the same sense of vice-like control. Alacrity claim that their patented Acoustic Induction cabinet system not only produces more bass but that it also better controls the drivers by limiting excursion. I can still see the drivers moving but the sound quality tells me that what they claim has foundation. Clearly a lot of work has been put in to tuning the speakers to behave well. Not once did I listen to something in the higher frequencies and think that it was a bit near the edge. Neither did I ever think that something could possibly have sounded a bit more sparkly. And the midrange didn't let the side down either. It gave a great presence to the music, and particularly solo vocalists where I would say that it just favoured female vocals, that on a good recording really did give the impression of the performer sitting or standing between the speakers. PRaT was great and passed my Paul Simon Graceland test with ease. When playing, the 8's became acoustically invisible while a large sound stage enveloped them. The sound stage was wide, and the imaging crisp and precise. Clarity was immense and as an example, some of the more obscure sound effects on Roger Walters Amused to Death were clearer than I have ever heard them previously. The 8's are transparent but not ruthless, and I could have listened to them all day without fatigue. The only issue that I could find any sort of fault with them was that being right against the rear wall, the sound stage depth was not as good as for instance with the Pageants that I place well forward of the wall. But don't think that the sound stage is only two dimensional, there is still clearly depth in it as I found playing the test track from the Chesky Audiophile test disk but it is a bit limited with the 8's as it will be with any speaker placed hard against a wall. And to be fair, I only consciously listen for how deep the sound stage is when I'm in reviewing mode. When the music is good, as it certainly is with the 8's my mind is distracted from such considerations. I should also say as regards the depth of sound stage, my main system uses open baffle speakers placed nearly a metre forward of the wall so perhaps I am supercritical of this aspect of sound quality! As regards the sweet spot, I found that it was about 'three chairs' wide in my smaller listening room, ie about 2.5 metres from the speakers. It should be wider in a larger room where the listeners would be seated further away from the speakers. The 8's presentation is upfront but rather than describing it as 'in-your-face' I would say that it is pleasantly involving. These are not speakers that sound like they are playing background music, and in my opinion that's how it should be. If I wanted music in the background, I don't think that I would be much bothered by the quality of the speakers anyway. 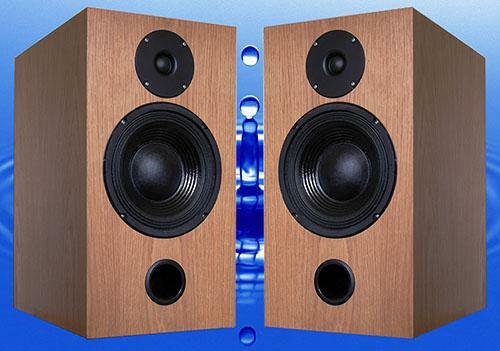 The Caterthun 8's are certainly no budget speaker and at the price I feel that I should write a lot more about them. However, there is honestly little to add to the statement that they make lovely music. So, if a small room or other restriction compels you to look for a smaller speaker, and you don't want to compromise sound quality and a big presentation, the 8's must surely be at, or near the top, of your shopping list. They are certainly not bookshelf speakers though and will need sturdy stands. They sounded gorgeous with the little Gainclones and class-T amps and really showed their capabilities with a couple of other midrange commercial amplifiers. So these are classless speakers when it comes to partnering them with an amplifier, neither disappointing the owners of budget amps, nor falling short with more esoteric amps. At an efficiency of 89db, I hardly ever found them wanting for volume level, and when I did, it was simply a case of adding in a gain stage between DAC and power amp. I've heard that the Caterthuns are gaining a healthy respect from those in the UK hi-fi industry who have heard them, and now it is a question of seeing if that reputation can be translated in to sales. The only argument that I can see against them becoming widely popular is that the type of audiophile who can afford the 8's probably lives in a home with larger rooms, and doesn't particularly need a smaller speaker. Then again, if she who must be obeyed has the final say, the 8's may have found a valuable ally! 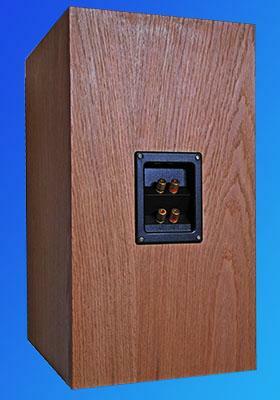 The 8's will also work in a larger listening room where being placed against the wall, they will be less intrusive. Nothing will prise my open baffles away from me but if I was limited to a smaller listening room, I know which speaker I would be saving up for! Highly enjoyable, and highly recommended.